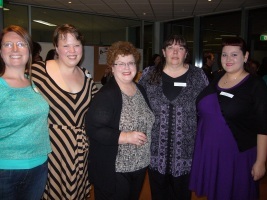 Last week, Hachette Australia hosted a meet and greet with Sookie Stackhouse author and True Blood co-creator Charlaine Harris. Guest blogger Zja Noir attended for Book Thingo, and here’s her recap of the event. Zja tweets as @obsidiantears83 and blogs at Book Bites and the Book Bites Facebook page. She reads urban fantasy, paranormal romance, romance, dystopian fiction, epic fantasy and classic literature. 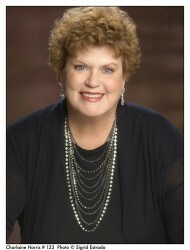 Charlaine Harris is a darling. She has this thick southern accent, a sense of humour, and a magnetic draw to her. But I guess realistically the magnetic draw was because I was in the presence of one my favourite authors. Book Thingo was invited to a small, exclusive cocktail party hosted by Harris’s Australian publishers, Hachette. The event was small and select, and each representative had a chance to shake hands and chat (grill or gush, depending on the personality type) with Charlaine. In the foyers I met Debbie and Kate from ARRA, and Decadence from Book Thingo. It was like old home week for ARRA members, especially as the event was so hush-hush that we weren’t sure who else was attending. The event was held in Hachette’s office, and of a night the distributor road over the bridge looked like a river of roving lights heading towards heaven. It was a great backdrop against which to meet Charlaine Harris. For those of you who are only vaguely familiar with the Charlaine Harris name, she is author of the acclaimed Sookie Stackhouse series, which has had not just one or two books in the NY bestsellers list, but NINE! Part of this acclaim is surely due to the television adaptation True Blood, but personally I believe it all comes down to the quality (and quantity) of her books. To use a cliche, there is no smoke without fire! Harris is most famous for her Sookie Stackhouse books (even Snoop Dogg has written a song about a character she originally wrote) but she is such a prolific author with a number of other series, and her career as a published writer stretches over more than two decades. She started writing urban fantasy/paranormal themed novels over ten years ago, when the genre was less distinct and pioneers had a place in which to roam (or write, or create, or whatever pioneering authors do for kicks). Her other series are diverse—a mix of mysteries and paranormal themes—and personally I believe that is a good indication that her new series (which she was very discreet about) will be something very different from the Sookie Stackhouse series. Jaki Arthur from Hachette Australia ushered her over to our group, which was made up of ARRA, Book Thingo, Galaxy Bookshop and LS Travel representives. At first we all seem a little reticent, unwilling to scare her off with our gushing admiration (okay, maybe I was the only one wanting to gush?). She spoke to us, first as a group and then individually around our little circle. When asked for hints about what to expect for the final Sookie Stackhouse novel, she was both cagey and delightfully demure on how the series would end. In answer to Kate’s (ARRA) probing questions regarding the final book in the Sookie Stackhouse series, she finally responded with, ‘I’ve got to save up all my goodies [for the finale].’ She did, however, confirm that the final book will be called Dead Ever After (due May 2013). She let slip that the next series blends paranormal and mystery and is set at crossroads in the South. I won’t let my own thoughts colour your interpretation, but I adore myth, urban legend and the universality of some motifs, so I can tell you that MY imagination is firing off the few morsels she let slip! 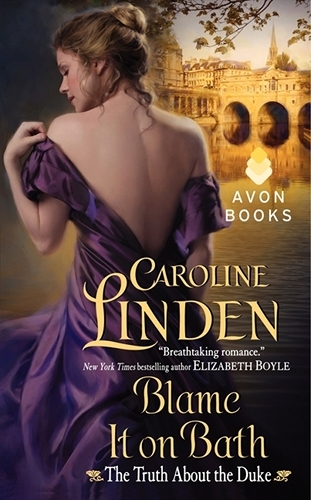 I can’t wait to read her next series! Harris was ushered out to the Hachette office just before 7pm, after what I can only imagine was a long hard day. After a sleepless 16-hour flight, landing in Sydney only hours before, and then needing to mingle for an hour, I, for one, was not surprised that she quietly slipped away. Decadence bumped into her in the foyer by chance and was able to take a photo of Charlaine and the impressive display of her books that Hachette have in their foyer. The night was a success from the point of view of the attendees I spoke to. We were all happy to be able to spend a little time with Charlaine Harris, mingle with Hachette staff and bookstore reps, and sup on the delightful spread Hachette had laid out. I am happy to add it to my memory banks tagged ‘Oh my gosh, did this really happen’. Charlaine Harris kindly signed a copy of Deadlocked for Book Thingo to give away to one lucky reader, so watch this space! You can read Debbie’s write-up of the event here and Decadence’s write-up here.